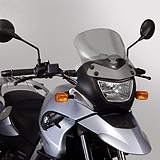 BMW F650GS 2005-2007 V-stream Short Sport Windscreen Light Tint Z2411 ZTechnik® revolutionizes windscreen performance! 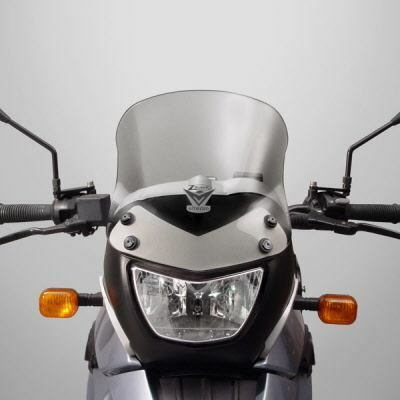 The advanced 'V' shape and dimensional contours push the wind vortex out and away from the rider's helmet, resulting in a peaceful, quiet environment. State-of-the-art Quantum™ coated polycarbonate gives VStream windshields outstanding clarity and strength characteristics unmatched by any windshield maker worldwide. This exclusive combination of Quantum and polycarbonate is 30X more scratch resistant than acrylic materials, has better UV life, chemical resistance, and optical definition, and has superior crack and impact resistance.